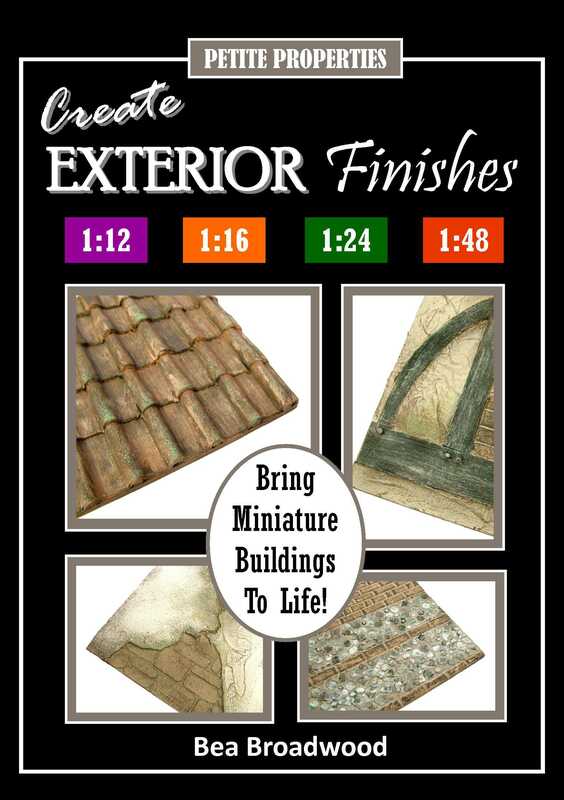 Do you love Petite Properties’ dolls houses and want to create your own realistic exterior wall finishes in miniature? Are you looking for an easy to follow guide to help you make authentic roof finishes that don’t cost the earth? Written by the leading name in smaller scale dolls houses, Bea Broadwood shares her own simple, yet effective techniques for bringing the exteriors of model buildings to life. One book... FOUR dolls house scales! Featuring 35 fabulous projects covering four scales, Bea shows readers how her techniques can easily be adapted to suit each of the dolls house scales. With the help of stunning colour photographs, colour charts and easy to follow step-by-step instructions, inexpensive craft materials are utilised with dramatic effect…!